During the summer a job lets you save up some money, whether it’s going towards college, fun activities or a vacation with your friends. There are heaps of options when it comes to teen jobs, like the the typical burger flipping or babysitting fare. But, if you’re a golfer with your eyes set on a future working in sports, why not try your hand at being a caddy? 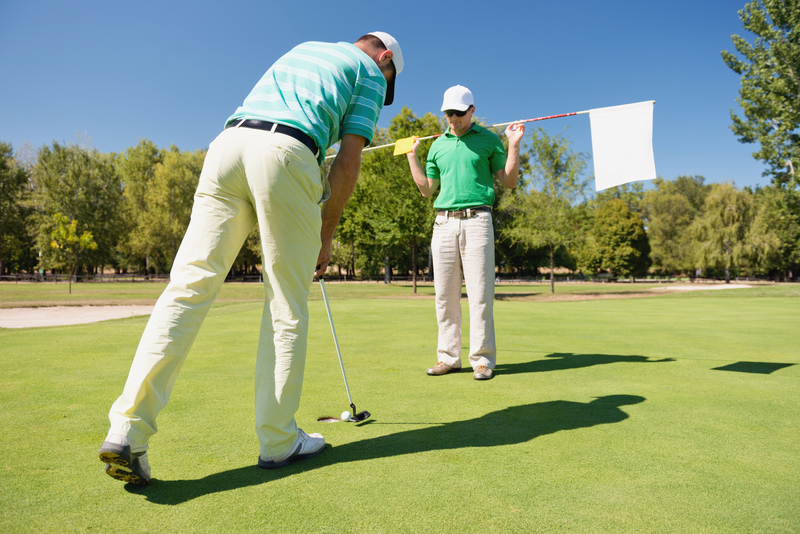 Pile on the experience and make a lot of dough this summer as a golf caddy. Here are 5 tips to get started. Before you set forth on your new adventure as a caddy, sit down with mom and dad and let them know your plans. They’ll be able to offer some insight about working, especially if this is your first job. They might even have some vital connections or tips to help you find a club to work at or at least offer you some leads. This goes without saying, but in order to be a caddy you need to know a thing or two about the amazing game of golf. Not only that, when it comes to the equipment you need to be especially thorough. You’re a junior golfer, so that already makes you a perfect candidate. We know golf is pumping through your veins and there’s nothing you’d rather be doing than be out the on the green supplementing your passion. Do a Google search of the different clubs and courses in your area. Make a list and contact each one to inquire about caddy positions. You can talk with the club you golf at too. Start sending out applications. If you can, drop them off in person. It’s always a nice touch to meet the hiring manager face to face in order to a) show your interest and confidence b) make a solid first impression.